i'll be there and remember munich 2000, i do not know what they are playing this tour. ....and then they came back on stage started with all cats are grey, the drowning man and faith. What was on my mind since the announcement of the tour as potential destination for me and my better half? First Hamburg or Lisbon... Then call from Cologne and London... Then somewhere between Basel and Budapest with hints for Antwerp... And then finally - I settled for Munich. Looking forward to be there, for the first time in Olympiahalle. 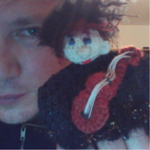 So, see you again at The Cure, D.
After last night (and beer was not important at all! ) it seems to me that Millhaus will join us in Munich. I still feel sorry that I will miss some other places, Cologne especially... But who knows what November can bring, especially after Munich impact. Oh, and I have one ticket to sell (Standing). 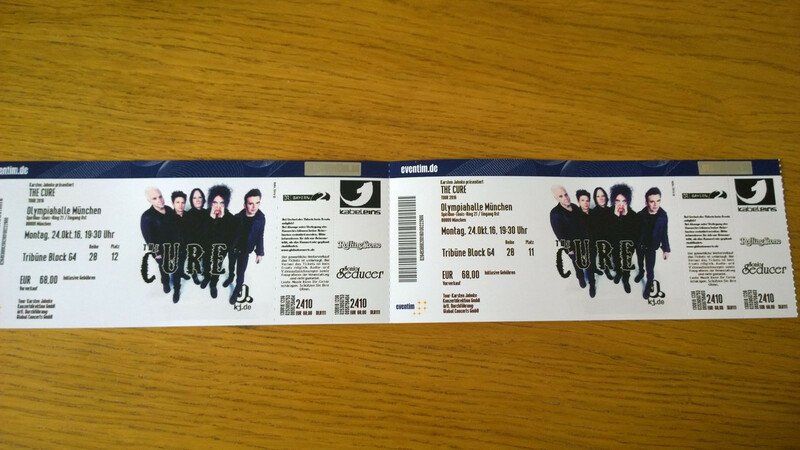 It's going to be my first The Cure concert. And so it shall be :-) Woohoo!